“New nukes” company Terrestrial Energy sets up a new group to promote its (as yet non-existent) molten salt nuclear reactors. JIJI, FEB 8, 2019, The Reconstruction Agency said Friday that it will run a television commercial advertising farm, fishery and forestry products made in Fukushima Prefecture for about a week from Saturday. The 30-second spot is aimed at dispelling harmful rumors about the safety of products from the prefecture following the nuclear meltdown at Tokyo Electric Power Company Holdings Inc.’s Fukushima No. 1 power plant, which was heavily damaged in the March 2011 earthquake and tsunami. The agency hopes to capitalize on rising interest in Fukushima Prefecture ahead of the eighth anniversary of the disaster on March 11. The commercial, which will also highlight tourism spots in the prefecture, will be broadcast nationwide. It will also be run at movie theaters and online. The agency has also created a section on its website to explain the current conditions in Fukushima Prefecture, helping visitors to learn about radiation and progress in reconstruction efforts. Skeptic on radiation limits will head EPA radiation panel, https://www.kwch.com/content/news/Skeptic-on-radiation-limits-will-head-EPA-radiation-panel-505198021.html By ELLEN KNICKMEYER, Associated Press 1 Feb 19, WASHINGTON (AP) — The Environmental Protection Agency has appointed a scientist who argues for easing regulations on lower-level radiation exposures to lead the agency’s radiation advisory committee. Acting EPA head Andrew Wheeler on Thursday announced the appointment of Brant Ulsh, a health physicist, as one of the EPA’s science advisers and the panel chairman. Ulsh has been a leading critic of the EPA’s decades-old position that exposure to any amount of ionizing radiation is a cancer risk. Ulsh did not immediately respond to an email Friday asking for comment, including whether he intended to use the advisory position to encourage reconsideration of the EPA’s no-tolerance policy on lower doses of radiation exposure. Last year, Ulsh told The Associated Press that “we spend an enormous effort trying to minimize low doses” at nuclear power plants, for example. “Instead, let’s spend the resources on minimizing the effect of a really big event,” he said. The EPA last year proposed a rule that would have instructed regulators to consider “models across the exposure range” when it comes to dangerous substances. EPA calendars obtained through the Freedom of Information Act show an appointment between Calabrese and EPA chief of staff Ryan Jackson on June 28, 2017, early in the tenure of Scott Pruitt, Wheeler’s predecessor. Last year was a “positive year for nuclear power” according to the World Nuclear Association (WNA). And indeed it was, compared to 2017, which was one of the industry’s worst-ever years. The WNA cited nuclear power’s net gain in 2018 (nine reactor grid connections compared to six permanent shutdowns). A superficial look at the numbers suggests some more good news for the industry. The number of reactor grid connections (start-ups) over the past five years (38) almost doubled the number in the five years before that (21). If the number doubled again, the much-hyped nuclear renaissance would be upon us. A casual observer might also be impressed by the fact that the number of reactor grid connections (59) and construction starts (71) over the past decade exceeded the number of permanent reactor shutdowns (50). And some more good news for the industry: according to the WNA, 41 reactors will enter commercial operation in the four years from 2019-22. But after that, the pre-Fukushima mini-renaissance (38 reactor construction starts from 2008-2010) slows dramatically with an estimated total of just nine reactor start-ups in the following four years. Ominously for the industry, the 22 construction starts from 2014-18 was less than half the number (49) from 2009-13. The (independent) World Nuclear Industry Status Report (WNISR) noted in early January that 49 reactors are under construction worldwide ‒ the first time the number has fallen below 50 in a decade, down 19 since 2013, and the number has decreased for five years in a row. If all these contradictory good-news, bad-news figures seem a little … contradictory, that’s because nuclear power currently reflects two opposing dynamics: the mini-renaissance is evident but will subside by the mid-2020s, and the Era of Nuclear Decommissioning (discussed later) has begun and will be in sharp focus by the mid-2020s. By contrast, renewable power generation continues to expand rapidly and costs continue to fall dramatically. Renewables accounted for 26.5 percent of global electricity generation in 2017 compared to nuclear power’s 10.3 percent. The industry faces severe problems, not least the ageing of the global reactor fleet. The average age of the fleet continues to rise and reached 30 years in mid-2018. A reasonable estimate is that the average lifespan of the current reactor fleet will be about 40 years. · The International Energy Agency expects a “wave of retirements of ageing nuclear reactors” and an “unprecedented rate of decommissioning” ‒ almost 200 reactor shutdowns between 2014 and 2040. · The International Atomic Energy Agency (IAEA) anticipates 320 gigawatts (GW) of retirements from 2017 to 2050 (that’s about 80 percent of the current worldwide reactor fleet). · Another IAEA report estimates up to 139 GW of permanent shutdowns from 2018-2030 and up to 186 GW of further shutdowns from 2030-2050. · The reference scenario in the 2017 edition of the WNA’s Nuclear Fuel Report has 140 reactors closing by 2035. · A 2017 Nuclear Energy Insider article estimates up to 200 permanent shutdowns over the next two decades. So an average of 8-11 construction starts and grid connections will be required to maintain current nuclear generation. Yet construction starts have averaged just 4.5 over the past five years. The IAEA’s low and high projections for global nuclear power capacity in 2030 are both 36 percent lower than the same projections in 2010, the year before the Fukushima disaster. 1. Taiwanese voters voiced support for overturning legislation to eliminate nuclear power. 2. Poland announced plans for a 6-9 GW nuclear sector. 3. China connected the world’s first AP1000 and EPR reactors to the electrical grid. 4. Some progress with Generation IV R&D projects (Terrestrial Energy, NuScale, Moltex), and the passing of the US Nuclear Energy Innovation Capabilities Act which aims to speed up the development of advanced reactors. 1. Taiwan’s government remains committed to phasing out nuclear power although the 2025 deadline has been abandoned following a referendum in November 2018. 2. Poland might join the club of countries producing nuclear power ‒ or it might not. Currently it is a member of a group of countries that failed to complete partially-built power reactors and have never generated nuclear power, along with Austria, Cuba, the Philippines, and North Korea. 3. China’s nuclear power program has stalled ‒ the country has not opened a new construction site for a commercial reactor since December 2016. The most likely outcome over the next decade is that a small number of new reactor projects will be approved each year, well short of previous projections and not enough to match the decline in the rest of the world. One example of the gap between Generation IV rhetoric and reality was Transatomic Power’s decision to give up on its molten salt reactor R&D project in the US in September 2018 ‒ just weeks before the public release of the New Fire propaganda film that heavily promotes the young entrepreneurs who founded Transatomic. The company tried but failed to raise a modest US$15 million for the next phase of its R&D project. An article by four current and former researchers from Carnegie Mellon University’s Department of Engineering and Public Policy, published in the Proceedings of the National Academy of Science in July 2018, argues that no US advanced reactor design will be commercialised before mid-century. Further, the Carnegie authors systematically investigated how a domestic market could develop to support a small modular reactor industry in the US over the next few decades ‒ including using them to back up wind and solar, desalinate water, produce heat for industrial processes, or serve military bases ‒ and were unable to make a convincing case. TerraPower recently abandoned its plan for a prototype reactor in China due to new restrictions placed on nuclear trade with China by the Trump administration. The Bright New World lobby group might have cited some other pyrrhic wins in 2018. The French government abandoned previous plans to reduce nuclear power to 50 percent of total electricity generation by 2035 (compared to 71.6 percent currently) but still plans to shut 14 reactors by 2035. Cost estimates for two French-built reactors ‒ one in France and the other in Finland ‒ have increased by a factor of 2.5‒3and the reactors are the best part of a decade behind schedule. The Vogtle reactor project in the US state of Georgia came close to being abandoned last year but it was rescued despite multi-year delays and monumental cost overruns (the estimate for two AP1000 reactors has doubled from US$14 billion to US$28 billion). The current cost estimate for Vogtle reactors #3 and #4 is an order of magnitude greater than Westinghouse’s 2006 estimate of US$1.4-$1.9 billion to build one AP1000 reactor. To find another blowout of that magnitude you’d need to go back to … Vogtle #1 and #2! Built in the 1970s and 1980s, the cost of the first Vogtle twin-reactor project skyrocketed 13-fold, from US$660 million to US$8.7 billion (around US$18 billion in today’s money). The only other reactor construction project in the US ‒ a twin-reactor AP1000 project in South Carolina ‒ was abandoned in 2017 after the expenditure of US$9‒10.4 billion. That disaster bankrupted Westinghouse and almost bankrupted its parent company Toshiba. So much for the nuclear renaissance. In many countries with nuclear power, the prospects for new reactors are bleak and rear-guard battles are being fought to extend the lifespans of ageing reactors that are approaching or past their design date. A new era is approaching ‒ the Era of Nuclear Decommissioning ‒ following on from nuclear power’s growth spurt from the 1970s to the 1990s then 20 years of stagnation. · A decline in the number of operating reactors. 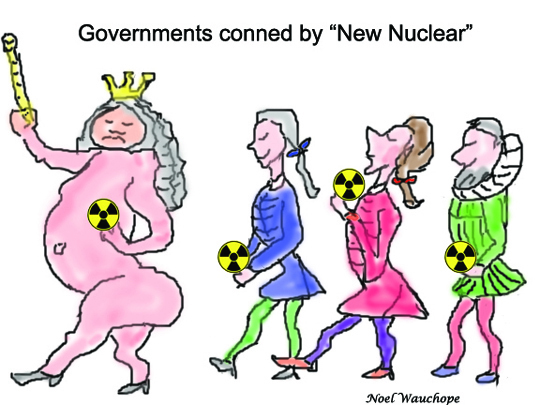 · An increasingly unreliable and accident-prone reactor fleet as ageing sets in. · Countless battles over lifespan extensions for ageing reactors. · An internationalisation of anti-nuclear opposition as neighbouring countries object to the continued operation of ageing reactors (international opposition to Belgium’s ageing reactors is a case in point and there are numerous other examples). · Battles over and problems with decommissioning projects (e.g. the UK government’s £100+ million settlement over a botched decommissioning tendering process). 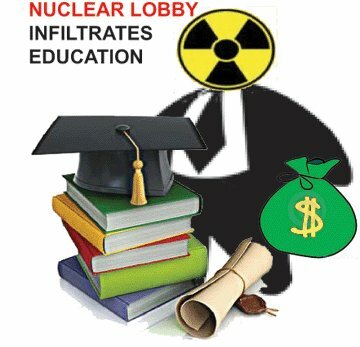 · Battles over proposals to impose nuclear waste repositories and stores on unwilling or divided communities. 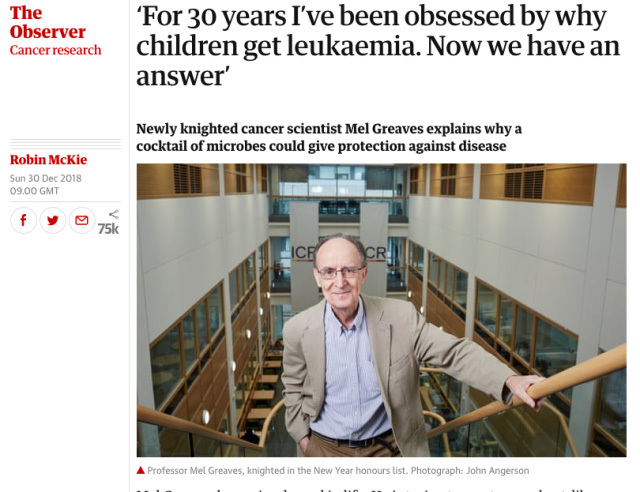 there is, or was, an excess of childhood leukemia close in to Sellafield. On what basis does the British and World nuclear industry claim that Sellafield’s emissions have not caused and do not cause disease? That is the claim and I cannot believe that claim. There is no rational path for me to attain such a level of blind faith. Concentrations of plutonium-239, plutonium-240, strontium-90 and total α-emitters have been measured in children’s teeth collected throughout Great Britain and Ireland. The concentrations of plutonium and strontium-90 were measured in batched samples, each containing approximately 50 teeth, using low-background radiochemical methods. The concentrations of total α-emitters were determined in single teeth using α-sensitive plastic track detectors. The results showed that the average concentrations of total α-emitters and strontium-90 were approximately one to three orders of magnitude greater than the equivalent concentrations of plutonium-239, 240. Regression analyses indicated that the concentrations of plutonium, but not strontium-90 or total α-emitters, decreased with increasing distance from the Sellafield nuclear fuel reprocessing plant — suggesting that this plant is a source of plutonium contamination in the wider population of the British Isles. Nevertheless, the measured absolute concentrations of plutonium (mean = 5 ± 4 mBq kg−1 ash wt.) were so low that they are considered to present an insignificant radiological hazard.” end quote. emphasis added. For the organism, it is the total dose which counts as far as biological effects and induction of diseases are concerned. Total dose is the sum of all dose contributors. Further, comparison involves a subtraction of one thing from one or more other things in order to highlight proportion. Debate Continues: Can New Technology Save Nuclear Power? Power, 01/01/2019 | Kennedy Maize.………Are advanced nuclear reactor designs the answer to the decades-long doldrums for nuclear power? For the U.S., a National Academy of Sciences (NAS) panel led by long-time nuclear advocate M. Granger Morgan of Carnegie Mellon University, issued a pessimistic report last July—US nuclear power: The vanishing low-carbon wedge. Nor does Bradford see new nuclear as a way to combat global warming. “Even if it is scaled up much faster than anything now in prospect, it cannot provide more than 10% to 15% of the greenhouse gas displacement that is likely to be needed by mid-century. Not only can nuclear power not stop global warming, it is probably not even an essential part of the solution to global warming,” he wrote in 2006. Since then, he argues, the declining costs of renewables and energy efficiency swamp nuclear economics even further. while smaller nuclear reactors are an appealing technological approach to keeping nuclear in the generating mix, they come with their own set of problems. Portland, Oregon-based NuScale appears to be the leader in developing SMR technology (Figure 4 on original). It is taking Alexander’s advice. NuScale has a customer for a 12-unit (720-MW) station: Utah Associated Municipal Power System (UAMPS), which has a site at the Department of Energy’s (DOE’s) Idaho National Laboratory (INL). UAMPS will own the project and Energy Northwest, a municipal joint action agency that operates the Columbia nuclear station near Richland, Washington, will run the plant. Columbia is a 1,100-MW boiling water reactor. NuScale recently selected BWX Technologies (BWXT) of Lynchburg, Virginia, to begin engineering work leading up to the manufacture of the 60-MW NuScale reactors. BWXT, created after reactor builder Babcock & Wilcox (B&W) emerged from bankruptcy in 2006, has deep experience in the U.S. naval reactor program. NuScale has received a commitment of some $200 million from the DOE. Global engineering firm Fluor Corp. is the majority investor in NuScale. Past experience suggests that nuclear construction schedules are made to be broken. SMRs pose unique challenges to federal regulators, both in the reactor designs and in operational issues such as staffing levels and communications among 12 discrete units, particularly if they are used to follow load. Additionally, power prices in the Western U.S. are already low and natural gas is driving them lower. Several efforts are in place to replace conventional LWRs with other approaches to splitting atoms to generate power. Admittedly longshots, these build-on technologies go back to the early days of civilian nuclear power, and were previously abandoned in favor of the proven LWR designs. The highest profile of the LWR apostates is TerraPower, based in Bellevue, Washington, and backed by Microsoft founder and multi-billionaire Bill Gates. [ Ed note: TerraPower has now abandoned this joint project with China] Founded in 2006, TerraPower is working on a liquid-sodium-cooled breeder-burner machine that can run on uranium waste, while it generates power and plutonium, with the plutonium used to generate more power, all in a continuous process. Liquid sodium has advantages over pressurized water as a coolant, including better heat transfer. It also does not act as a moderator to slow neutrons, which allows for breeding plutonium. Sodium coolant has its own set of problems. Sodium catches fire when exposed to oxygen so coolant leaks can be devastating, as has happened in the past. Nuclear power father Adm. Hyman Rickover, after a bad experience with the Seawolf-class submarine sodium-cooled reactor—the second subs to use LWR technology after the USS Nautilus—commented that sodium-cooled systems were “expensive to build, complex to operate, susceptible to prolonged shutdown as a result of even minor malfunctions, and difficult and time-consuming to repair.” TerraPower hopes to have commercial machines operating in the late 2020s, but industry insiders have reported that the company’s prototype reactor being built in China has experienced major problems. Another approach to bypass LWRs is the molten salt reactor, long a favorite of nuclear pioneer Alvin Weinberg. A Canadian firm, Terrestrial Energy, is pushing a 190-MW SMR design using the technology Weinberg developed at Oak Ridge National Lab in the mid-1960s. Molten salt technology operates at close to atmospheric temperature and combines the fuel and the coolant. Terrestrial plans to use the technology to power an SMR, with a target date for the late 2020s. Molten salt poses new engineering challenges for nuclear reactors. 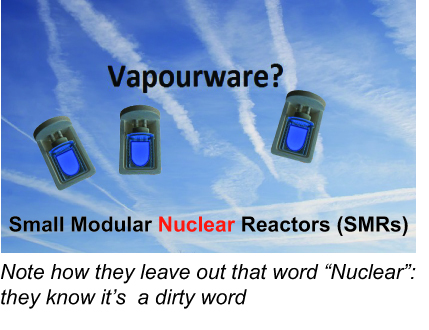 One nuclear observer commented, “I prefer solid fuel” to the liquid fuel-coolant in the molten salt reactor. Finally, developers are looking at abandoning uranium as the primary nuclear fuel. Instead, the idea is to use thorium, one of the most-common elements on the planet. Thorium is a slightly radioactive metal. But thorium is not fissile—able to undergo nuclear fission—so it has to be irradiated with enriched uranium in order to be transmuted into fissile U-233. Thorium’s chief attribute is that the fuel is so plentiful. Terrestrial Energy has shown interest in using thorium in its molten salt reactors, along with low-enriched uranium that is used in the design it is pursuing in Canada. Skeptics suggest that thorium is an answer in search of a question, given the easy availability of uranium, particularly in seawater. Uranium shortages, forecast in the 1960s when advocates first suggested using thorium, have never materialized. The Union of Concerned Scientists (UCS) is currently wrapping up a study of the new, non-LWR reactor designs. Physicist Ed Lyman, a veteran UCS staffer, told POWER, “Our overall conclusion is that vendors, DOE, and advocates are greatly exaggerating the benefits” of the technologies. “The whole landscape is not compelling. We question whether the best direction for nuclear power is to go off on these more exotic tangents,” rather than focus on making LWRs cheaper and safer. “That’s potentially a better near term” investment, he said. The original generations of civilian nuclear power failed to live up to their promises. The U.S. nuclear industry stalled in the mid-1970s and has not recovered, despite repeated government and industry attempts at a restart. It seems a good time to revisit one of our early blog posts which first appeared on Indymedia back in 2009. What has changed? The Nuclear Spin has got more blatant and God Forbid that anyone should mention nukiller and leukaemia in the same breath. What ever did happen to all that research from the body snatching scandal? Bodysnatching, radioactive poisoning and infanticide, the nuclear industry has it all in spades. That thousands of dead nuclear workers’ organs were taken without consent for secret research into radiation poisoning was and is morally unacceptable. The government has put the Redfern Inquiry “on hold” indefinitely. What other industry can get away with such a suspension of justice and carry on with business as usual?Radioactive poisoning? Sellafield recently admitted to exposing two workers to dangerous levels of radiation in 2007 and were supposed to be sentenced in Carlisle’s Crown Court on 21st August this year. This also has been held back and at the time of writing no new date has been set. Again, what other industry has such power and influence?Infanticide? In Germany, a major Government-sponsored scientific study recently uncovered very strong links between living near nuclear power plants and childhood leukaemia: these findings were accepted by its government. Many peer-reviewed scientific articles in respected journals have described these disturbing findings in detail. In essence, increased numbers of pregnant women near German nuclear reactors are having babies which later die of leukaemia. Let’s call this by its proper name: infanticide. It appears we might be killing our babies for the sake of nuclear electricity. Should we be doing this? Should we be proposing to build yet more nuclear reactors? Where has our moral compass gone ?Independent scientists have stated that whatever the explanation for these increased leukaemia deaths in babies, they raise difficult questions including whether vulnerable people – in particular, pregnant women and women of child-bearing age – should be advised to move away from nuclear facilities. What other industry would be allowed to get away with this nonsense? Can you imagine a chemical firm getting away with it? Sustainable Development Commission in 2006. There are many options for reducing our CO2 emissions, but it turns out nuclear is the least cost effective.